Finding Balance is a seniors falls prevention initiative developed by the Injury Prevention Centre, University of Alberta, and is administered across Canada by provincial stewards. 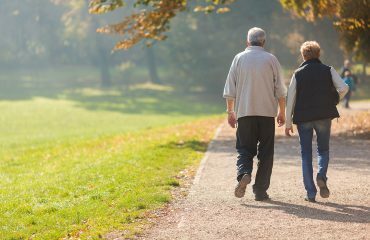 How can I prevent a fall? How do I get up? Today marks the end of another successful Finding Balance campaign, but we still have a lot of work to do. With continued outreach and community activation we can reduce the number of fall-related injuries in Alberta seniors. 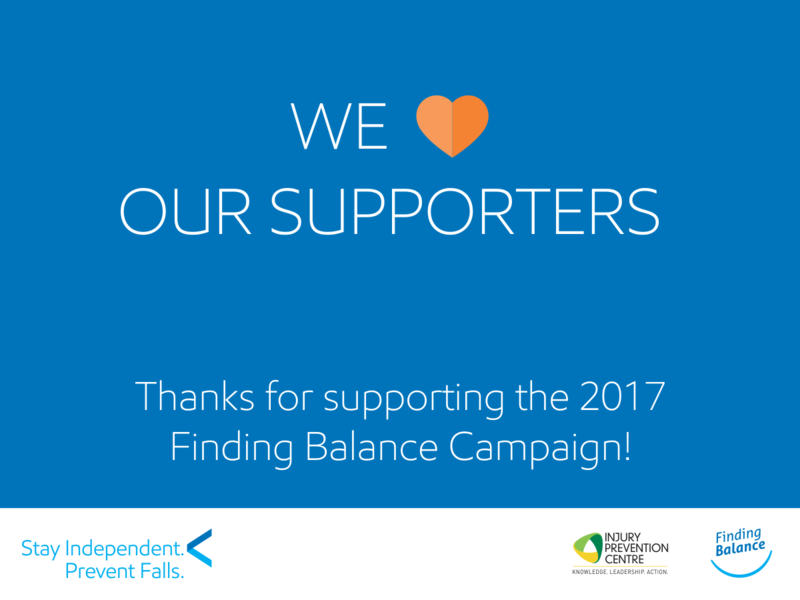 We would like to thank all our sponsors for their contributions to Finding Balance 2017: Global News Edmonton, Alberta Blue Cross, College of Licensed Practical Nurses of Alberta, College and Association of Registered Nurses of Alberta, Institute for Continuing Care Education and Research and the Don Wheaton Family YMCA. 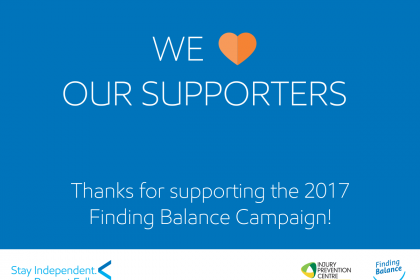 We would also like to thank our supporters, healthcare and community groups who facilitated the promotion and programming of the campaign: Finding Balance Steering Committee Members, Alberta Health Services, Provincial Injury Prevention Program, Fall Risk Management Program, Alberta Pharmacists’ Association, Alberta Association of Optometrists and the Primary Care Network. To help you continue your work in falls prevention all year round, visit the Finding Balance website for validated tools and resources anytime you need them. 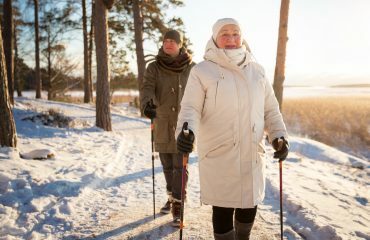 “Falls are not a normal part of aging, and together we can motivate seniors to prevent falls and enjoy getting older –injury free.” Dr. Kathy Belton, associate director of the Injury Prevention Centre. Join the Falls Prevention group on SafetyNET. Visit the Resource Catalogue for a complete list of resources and the resource order form. Do you know a group of seniors who are serious about getting stronger to prevent falls?